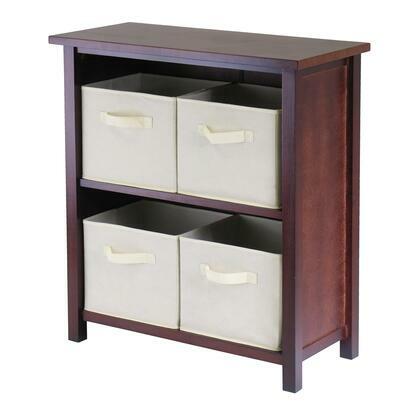 This storage shelf comes with 4 foldable beige fabric baskets. Warm Wanut finish storage shelf is perfect for any room in your home. Use it alone as bookcase/shelf or with baskets for a complete storage function. Assembly required for shelf.